Coming out from the growth kinetics, the Gompertz model has been developed and considered as the best one for simulating the biogas production from anaerobic digestion. However, the model has failed to describe the starting point of the process, and no-sense of lag phase constant has been pointed out. Thus, the goal of this study is to develop a new kinetic model of biogas production with meaningful constants that can alternate the Gompertz model. The kinetic constants of the model were determined by applying the least squares fitting method for experimental data. The experimental data were taken from running seven batch reactors of co-digestion of vegetable, sludge and horse manure under 37oC, pH of 6.7, and total solids of 2.5%. The result of the high coefficient of determination (0.9611-0.9906) demonstrated that the new biogas production kinetic model was feasible to simulate the biogas generation process. This finding has opened a new choice that can deal with simulation of the biogas production. Moreover, co-digestion of vegetable, horse manure, and sludge was also evaluated under strong attention. The biogas potential was in the range of 183-648 Nml/g-VS with the best carbon-to-nitrogen ratio of 16. Vegetable waste played a major role in producing the biogas yield while horse manure and sludge contributed to balancing nutrient of the digestion process. Also, the strong correlation between carbon-to-nitrogen ratio and kinetic constants confirmed that the carbon-to-nitrogen ratio was the key factor that influenced biogas generation. The strong correlation between C/N ratio and kinetic constants confirmed that the C/N ratio was the key factor that influenced biogas generation. And the best value of C/N was 16. APHA. (2005). Standard methods for the examination of water and wastewater. Vol. 21st ed, 1220p. Washington DC: American Public Health Association. Appels, L.; Baeyens, J.; Degrève, J.; Dewil, R., (2008). Principles and potential of the anaerobic digestion of waste-activated sludge. Prog. Energy Combust. Sci.,34(6): 755-781 (27 pages). Beardmore, D.H.; Fan, L.; Lee, Y.-H., (1980). Gamma-ray irradiation as a pretreatment for the enzymatic hydrolysis of cellulose. Biotechnol. Lett,2(10): 435-438 (4 pages). Bouallagui, H.; Lahdheb, H.; Ben Romdan, E.; Rachdi, B.; Hamdi, M., (2009). Improvement of fruit and vegetable waste anaerobic digestion performance and stability with co-substrates addition. J. Environ. Manage.,90(5): 1844-1849 (6 pages). Dai, X.; Li, X.; Zhang, D.; Chen, Y.; Dai, L., (2016). Simultaneous enhancement of methane production and methane content in biogas from waste activated sludge and perennial ryegrass anaerobic co-digestion: The effects of pH and C/N ratio. Bioresour. Technol.,216: 323-330 (8 pages). Deepanraj, B.; Sivasubramanian, V.; Jayaraj, S., (2015). Experimental and kinetic study on anaerobic digestion of food waste: The effect of total solids and pH. 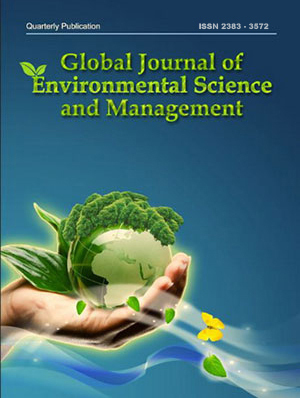 J. Renewable Sustainable Energy,7(6) (12 pages). Deng, Y.; Xu, J.; Liu, Y.; Mancl, K., (2014). Biogas as a sustainable energy source in China: regional development strategy application and decision making. Renewable Sustainable Energy Rev.,35: 294-303 (10 pages). Gomez, X.; Cuetos, M.; Cara, J.; Morán, A.; Garcia, A., (2006). Anaerobic co-digestion of primary sludge and the fruit and vegetable fraction of the municipal solid wastes: conditions for mixing and evaluation of the organic loading rate. Renewable energy,31(12): 2017-2024 (8 pages). Hartmann, H.; Ahring, B.K., (2006). Strategies for the anaerobic digestion of the organic fraction of municipal solid waste: an overview. Water Sci. Technol.,53(8): 7-22 (16 pages). Heo, N.H.; Park, S.C.; Kang, H., (2004). Effects of mixture ratio and hydraulic retention time on single-stage anaerobic co-digestion of food waste and waste activated sludge. J. Environ. Sci. Health. Part A 39(7): 1739-1756 (18 pages). Hills, D.J. ; Roberts, D.W., (1981). Anaerobic digestion of dairy manure and field crop residues. Agric. Wastes,3(3): 179-189 (11 pages). Kafle, G.K.; Chen, L., (2016). Comparison on batch anaerobic digestion of five different livestock manures and prediction of biochemical methane potential (BMP) using different statistical models. Waste Manage. (Oxford),48: 492-502 (11 pages). Kalia, A.K. ; Singh, S., (1998). Horse dung as a partial substitute for cattle dung for operating family-size biogas plants in a hilly region. Bioresour. Technol.,64(1): 63-66 (4 pages). Kusch, S.; Oechsner, H.; Jungbluth, T., (2008). Biogas production with horse dung in solid-phase digestion systems. Bioresour. Technol.,99(5): 1280-1292 (13 pages). Kythreotou, N.; Florides, G.; Tassou, S.A., (2014). A review of simple to scientific models for anaerobic digestion. Renewable Energy,71: 701-714 (14 pages). Latinwo, G.K.; Agarry, S.E., (2015). Modelling the kinetics of biogas production from mesophilic anaerobic co-digestion of cow dung with plantain peels. Int. J. Renewable Energy Dev.,4(1): 55-63 (9 pages). Lay, J.-J. ; Li, Y.-Y. ; Noike, T., (1996). Effect of moisture content and chemical nature on methane fermentation characteristics of municipal solid wastes. J. Environ. Syst. and Eng., JSCE,1996(552): 101-108 (8 pages). Li, J.; Jha, A.K. ; He, J.; Ban, Q.; Chang, S.; Wang, P., (2011). Assessment of the effects of dry anaerobic co-digestion of cow dung with waste water sludge on biogas yield and biodegradability. Int. J. Phys. Sci.,6(15): 3723-3732 (10 pages). Linke, B., (2006). Kinetic study of thermophilic anaerobic digestion of solid wastes from potato processing. Biomass Bioenergy,30(10): 892-896 (5 pages). Liu, X.; Wang, W.; Shi, Y.; Zheng, L.; Gao, X.; Qiao, W.; Zhou, Y., (2012). Pilot-scale anaerobic co-digestion of municipal biomass waste and waste activated sludge in China: effect of organic loading rate. Waste Manage. (Oxford),32(11): 2056-2060 (5 pages). Lo, H.; Kurniawan, T.; Sillanpää, M.; Pai, T.; Chiang, C.; Chao, K., . . . Wang, S., (2010). Modeling biogas production from organic fraction of MSW co-digested with MSWI ashes in anaerobic bioreactors. Bioresour. Technol.,101(16): 6329-6335 (7 pages). Mao, C.; Feng, Y.; Wang, X.; Ren, G., (2015). Review on research achievements of biogas from anaerobic digestion. Renewable Sustainable Energy Rev.,45: 540-555 (16 pages). Marañón, E.; Castrillón, L.; Quiroga, G.; Fernández-Nava, Y.; Gómez, L.; García, M., (2012). Co-digestion of cattle manure with food waste and sludge to increase biogas production. Waste Manage. (Oxford),32(10): 1821-1825 (5 pages). Moestedt, J.; Malmborg, J.; Nordell, E., (2015). Determination of methane and carbon dioxide formation rate constants for semi-continuously fed anaerobic digesters. Energies,8(1): 645-655 (11 pages). Mönch-Tegeder, M.; Lemmer, A.; Oechsner, H.; Jungbluth, T., (2013). Investigation of the methane potential of horse manure. Agric. Eng. Int., CIGR J.,15(2): 161-172 (12 pages). Nopharatana, A.; Pullammanappallil, P.C. ; Clarke, W.P., (2007). Kinetics and dynamic modelling of batch anaerobic digestion of municipal solid waste in a stirred reactor. Waste Manage. (Oxford),27(5): 595-603 (9 pages). Ostrem, K. (2004). Greening waste: Anaerobic digestion for treating the organic fraction of municipal solid wastes. Ph.D. Dissertation, Columbia University. USA. Schofield, P.; Pitt, R.; Pell, A., (1994). Kinetics of fiber digestion from in vitro gas production. J. Anim. Sci.,72(11): 2980-2991 (12 pages). Syaichurrozi, I.; Sumardiono, S., (2013). Biogas production kinetic from vinasse waste in batch mode anaerobic digestion. World Appl. Sci. J.,26(11): 1464-1472 (9 pages). Wang, X.; Lu, X.; Li, F.; Yang, G., (2014). Effects of temperature and carbon-nitrogen (C/N) ratio on the performance of anaerobic co-digestion of dairy manure, chicken manure and rice straw: focusing on ammonia inhibition. PloS one,9(5) (7 pages). Wu, B.; Bibeau, E.L.; Gebremedhin, K.G. (2006). Three-dimensional numerical simulation model of biogas production for anaerobic digesters. 2006 ASAE Annual Meeting. Oregon, United Sates of America 9-12 Jul. USA. Wu, X.; Yao, W.; Zhu, J.; Miller, C., (2010). Biogas and CH4 productivity by co-digesting swine manure with three crop residues as an external carbon source. Bioresour. Technol.,101(11): 4042-4047 (6 pages). Yusuf, M.; Debora, A.; Ogheneruona, D., (2011). Ambient temperature kinetic assessment of biogas production from co-digestion of horse and cow dung. Res. Agric. Eng.,57(3): 97-104 (8 pages). Zhang, C.; Su, H.; Baeyens, J.; Tan, T., (2014). Reviewing the anaerobic digestion of food waste for biogas production. Renewable Sustainable Energy Rev.,38: 383-392 (10 pages). Zhang, C.; Xiao, G.; Peng, L.; Su, H.; Tan, T., (2013). The anaerobic co-digestion of food waste and cattle manure. Bioresour. Technol.,129: 170-176 (7 pages). Zhang, L.; Lee, Y.-W.; Jahng, D., (2011). Anaerobic co-digestion of food waste and piggery wastewater: focusing on the role of trace elements. Bioresour. Technol.,102(8): 5048-5059 (12 pages).